Awesome company!!! I love my a.c. and heating system. Ms. Denita (office manager) and Mr. Chris (installer) were friendly and professional at all times. Mr. Craig (owner) along with Mr. Ali took care of an issue with my ceiling promptly and in time for my tenant to move in. Thanks so much!!! When you need a heating and air contractor in , contact True Mechanical Corp. We are your local HVAC professional. We will quickly resolve any repair need or carefully maintain your HVAC system. 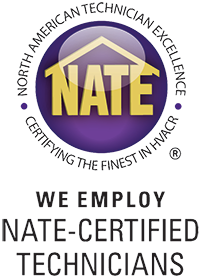 Our technicians are fully trained and educated to handle any issues that may occur with your HVAC system. We are proud to be a Bryant Partner dealer. We are licensed & insured as well as factory trained & authorized. We provide you with detailed information to help you make an informed decision in regards to replacing, servicing, or repairing your HVAC system. We will recommend a system that’s specific to your needs. We are prepared to quickly install your new system. Our priority is to get you back to your preferred level of comfort as soon as possible. Payment Options: American Express, Visa, MasterCard, Cash, Check, and Financing. Service Areas: Buckhead, Conyers, Decatur, Dunwoody, Lithonia, Lithia Springs, Mableton, Sandy Springs, Stonecrest, Stone Mountain, and other surrounding cities. When your HVAC system stops operating correctly, contact True Mechanical Corp., the best HVAC Contractor in . We can help with everything from emergency repairs, to regular maintenance, to a full HVAC system installation and replacement. Our professional staff will work diligently to make sure you have the best experience possible. Contact us when you need to replace your HVAC system or if you need repairs or maintenance completed. We have financing options from one year up to 120 months, without interest, on select products and equipment. Our financing options include both credit approval, although our Microf finance option does NOT require a credit check.